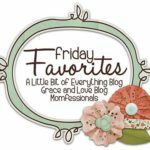 I’m linking up today with my friends Andrea, Erika and Narci for Friday Favorites! So I want you to know, I think the world of y’all. You are so sweet, encouraging, and just plain nice. Please know that I am so very thankful for every comment that is left on this blog. I read and appreciate every single one of them. This chalkboard that I bought on a whim at HomeGoods is definitely one of my favorite items in the house. I started buying things for the new house a couple months out from us moving in, and I was having a blast doing it! But after I had brought 5 or 6 things home, Chris tried to boss me. He told me to not buy anything else for the new house until we were in the new house since it didn’t make sense for us to have to pack up the stuff and move it. And then I saw this chalkboard. And I bought it. Immediately. As you can see, I couldn’t wait to do get it ready for Easter! I’ve talked about my love of Boden before, and it’s happening again today! 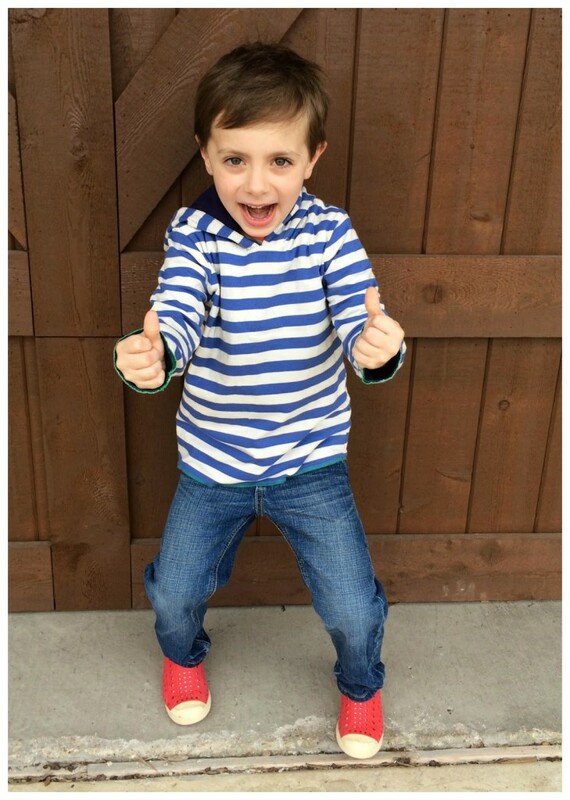 Nordstrom asked me if I wanted to talk about Spring clothes for kiddos, and I thought it would be fun! And since the best way to talk about clothes is to get them, take pictures, and do a review….I took one for the team and placed an order for Carter. 🙂 I actually placed a rather large order with no plans of keeping it all. But I kept it all. Why do I love Boden so much for Carter? And dressing him in things he loves is just easier. 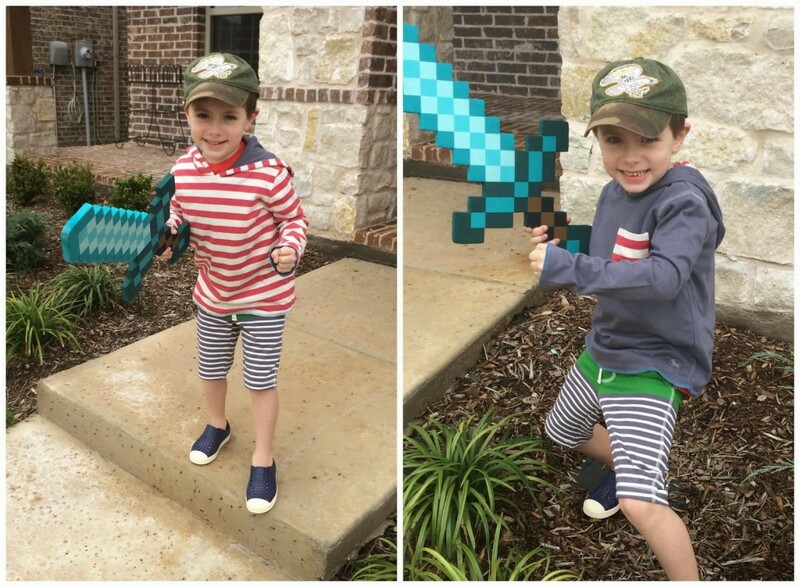 If you know Carter, you know his only real wish for his clothes is for them to be “cozy”. My boy is BIG on BEING COZY. And Boden clothes are “the coziest ever”. And that’s a direct quote from the cozy expert himself. and he prefers that to a zipper and button every day of the week. And the tees are all very soft and super cozy themselves. 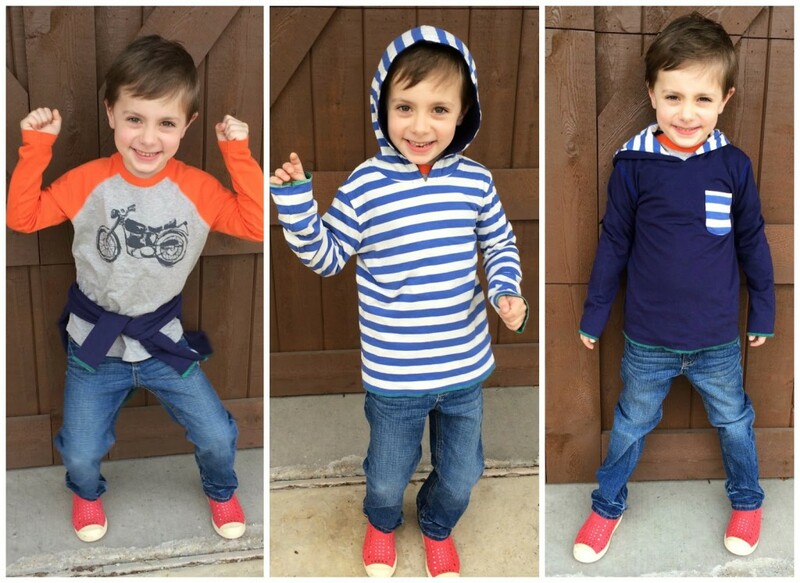 So here are the first 3 items I got him (the jeans are Boden, but from last year and no longer in stock). I mean, how cute is the motorcycle tee!?! 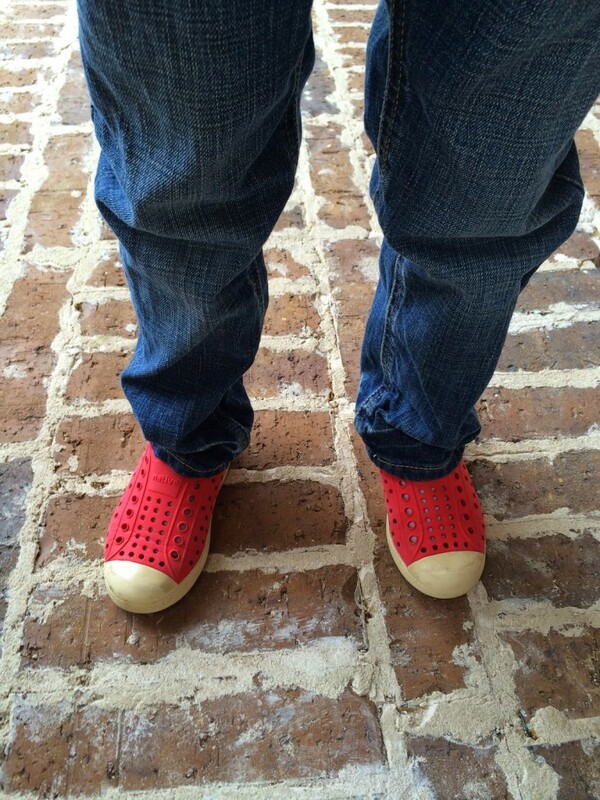 And of course he’s wearing his favorite red Natives. I say “of course”, because I think he’s worn them 95% of school days since school started back in August. You think I’m kidding? I’m not. Just ask his teacher. Good thing I love them too! I totally dig the pop of color that the red adds to his outfits! have to bother tying them. And here’s the hoodie on him! It’s a great royal blue with striped accents and trimmed in a Kelly green. Isn’t this a great little hoodie? 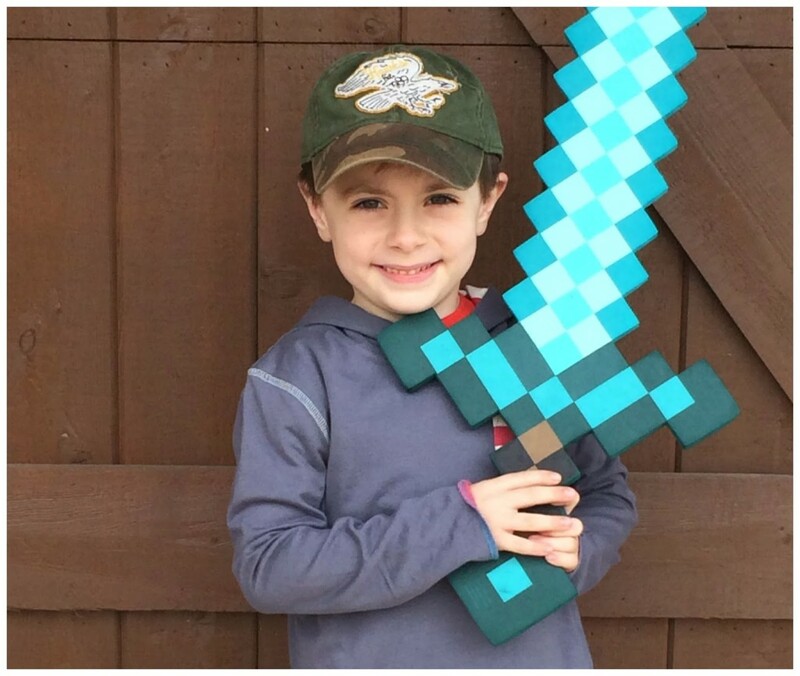 It comes in toddler, little boy, and big boy sizes. Click HERE for the hoodie. It’s $34, which I actually feel like is a great price for a soft and comfy hoodie that I know he’ll reach for a lot! Why? Because say it with me now….it’s COZY. And surprise, the hoodie is reversible! Which obviously makes it an even better value! And how cute are the stripes?!? I’m not sure if you can tell, but my subject was having fun. This kid is a nut! And I have no idea where on earth he gets it. But you can see how many different looks you can get with the same 4 pieces! Click on the pics you are interested in below to shop the outfit from above. so I know he’d love them! And let’s take just a second to talk about the shoes since they are freaking awesome. I’m telling you, if you buy one pair, I promise you they won’t be your last. Click HERE for boy’s Natives (lots of colors available). Click HERE for girl’s Natives. Use a magic eraser on scuff marks and they come right off! He’s had these shoes over a year, and I haven’t used my magic eraser trick in a couple of months, but it works like a charm. 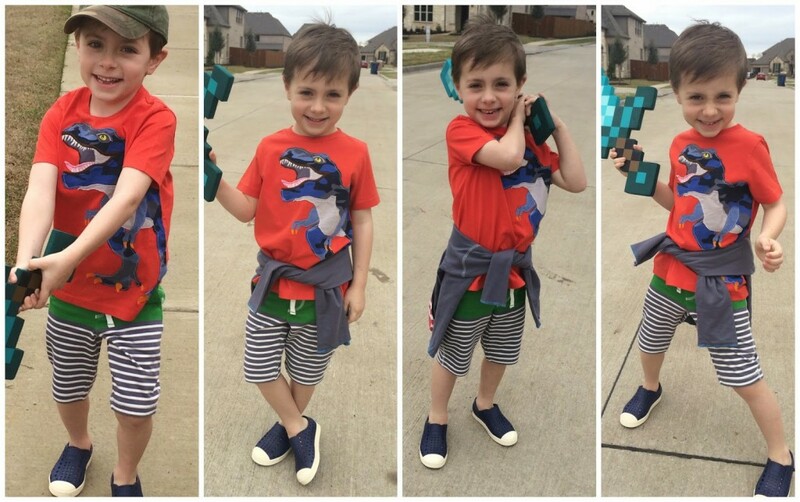 What does Carter think about all of his new clothes? He gives them two thumbs up. And like I mentioned before..I ordered a ton of clothes…with the plan of deciding which ones we would keep after he tried them all on. Well, we kept these next items too. BECAUSE OH MY AT THE COZY FACTOR. And Carter couldn’t stop talking about how awesome the dino shirt was. Let’s just go ahead and call him Captain Cozy! And one more of his little face. Now, if you have a little girl, you definitely need to check out Boden for girls too! Because if you think their boy stuff is cute, you will die over their girl stuff. DARLING barely even scratches the surface. 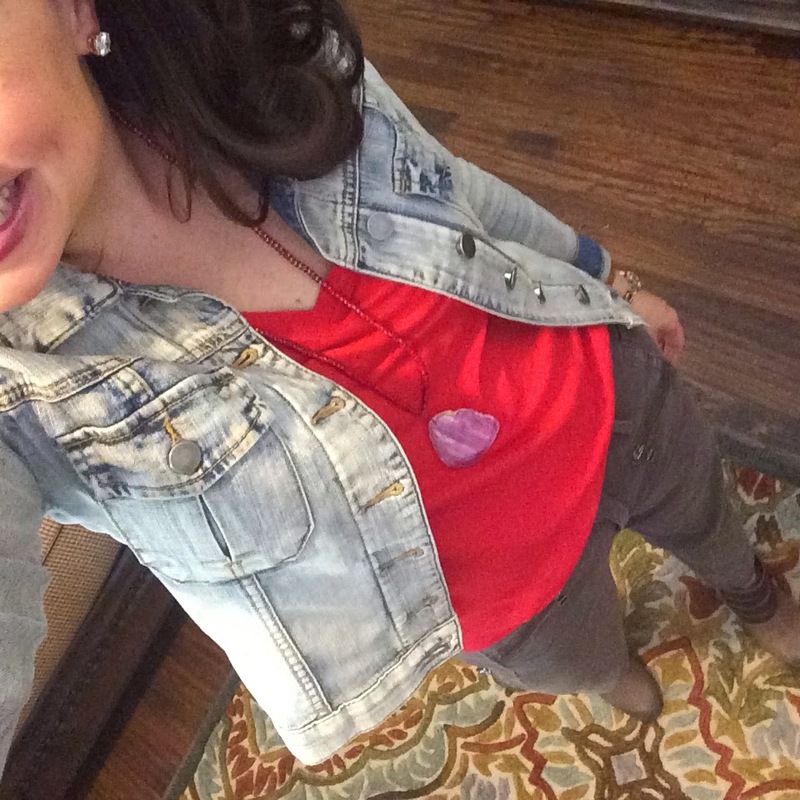 Click HERE to check out the girl’s line! Or maybe your boy isn’t really into Boden, but he still likes to be comfy. Maybe Under Armour and Nike are more his speed. Click your favs! 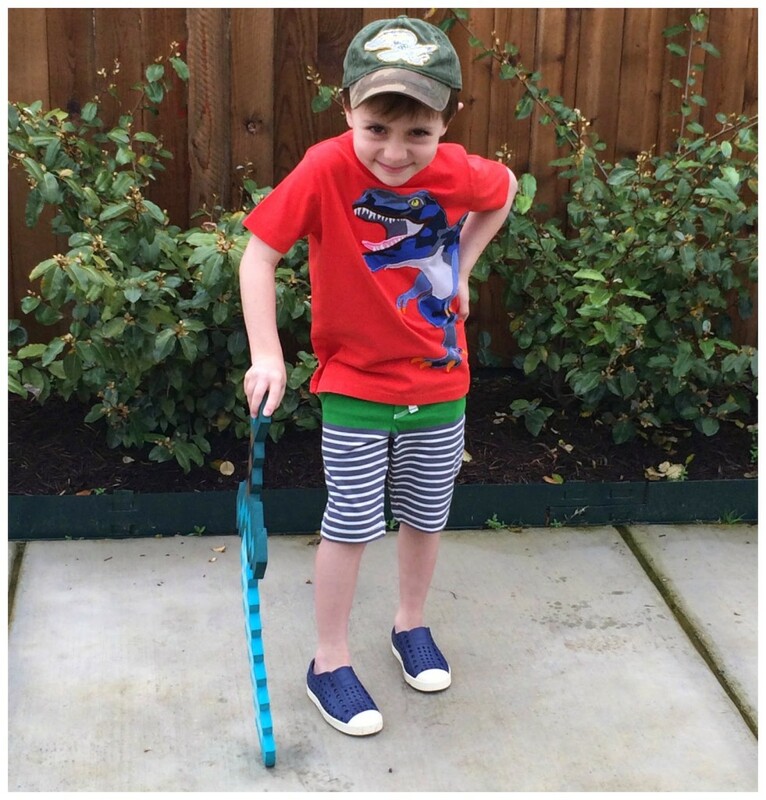 Thank you Nordstrom for sponsoring the Kid’s Spring Clothes portion of this post! I wish I could get a better picture of the earrings, but click HERE to see what they look like up close. These types of ear jackets are ALL THE RAGE right now. At first I wasn’t so sure about them, but I’ve seen them enough now that I wanted to give them a try myself! I’m so glad I gave them a try! They are a bit out of my comfort zone, but I think they are great fun! So yesterday afternoon I decided to throw a collage together with the sale items all together! If the item has a heart by it, it means I personally own it AND LOVE IT! And please, pay special attention to the bra in the collage. Your boobies will thank me. So a couple of Friday’s ago (see the full post HERE) I talked about some Lancome products and did a review. I had found several products that I liked and wanted to share with y’all (and I still am really enjoying all of them)…but I’m now officially IN LOVE with THIS eyeliner. and I like that it leaves a smudgy line and not a really precise line. And remember, they have a GIFT WITH PURCHASE going on right now. Click HERE and scroll down to the bottom of the page to see what the different packages have to offer (both pictures and text describing what is included)! Lots of great products! On Monday I did a post (click HERE) highlighting the fact that Nordstrom is now carrying Madewell and I reported that I was a huge fan of their tees. Well, now I’m their biggest fan. I wore both of them again this week. I wore the orange one yesterday (see the picture below), and I wore the black one on Wednesday (you’ll see that outfit on Monday). THEY ARE GREAT TEES! Click HERE. 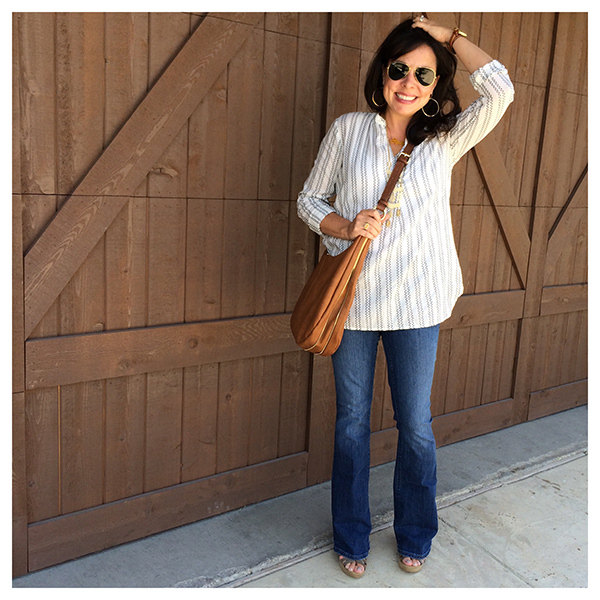 The tee is slouchy, but not sloppy. And a lot of you inquired about the deep v neck (because it looks so low on the model). I have not had a problem with it! I think they are a great fit! Click HERE for my Get Healthy Update!!!!! See you back here on Monday girls! WAIT! I’ve got a p.s. Well, Julie. I used to think the same thing! A Nordstrom associate convinced me to try the Natori bra (the same sweet angel that introduced me to the blardigan! Hi Vanessa! ), and I now own 3! They are comfy, have a perfectly rounded cup, have a good lining (without padding), and are seriously THE PERFECT bras for me. And blog readers convinced me to try the Hanky Panky! This was a harder sell for me than the bras, because they are so pricey. After my first pair, I was hooked. I try to buy a pair or 2 every time they are on sale so I can eventually have an entire collection. I’m ALMOST there. And I’ve got to say, on days I can’t wear a pair of Hanky Panky’s (because they are in the laundry), I’m annoyed. Like seriously annoyed. So I posted the above on facebook this morning (Saturday morning) with the following plea:…let’s all make a case for Julie! If you have one or both of these items, leave a comment!!!!! Sometimes it takes a village! Well, you ladies responded! Click HERE to see everybody’s comments on the facebook post (right now there are over 40 comments!)! I love Boden!! That is my very favorite brand for my kiddos! I also love you :). Happy Friday friend! 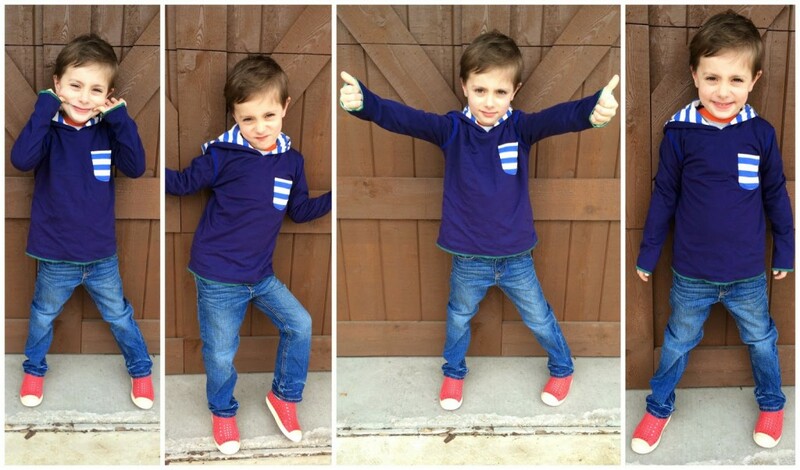 Oh my gosh, your son is adorable in all those pics with those poses! He looks like he has quite the personality. And loves taking pictures! Oh my goodness, that Boden is such a charmer!! I have 3 teenage "hams" and man, it just gets more and more fun but sadly I know they will fly the coop soon. Enjoy every last second girl!! And can I say your BLOG rocks beyond comparison!! Love following you and your sassy, super cute array of awesomeness!!!!! Carter is so precious – oh that face!!!! Your posts are my favorite thing! Your boy is hilarious! What a ham! And you'll be glad to know we were at Nordstrom yesterday and I picked up a pair of the Natives in red (his choice) for him. A random mom in the shoe department even stopped me to say how great they are and that she throws them in the dishwasher when they get a little stinky. Pretty clever! 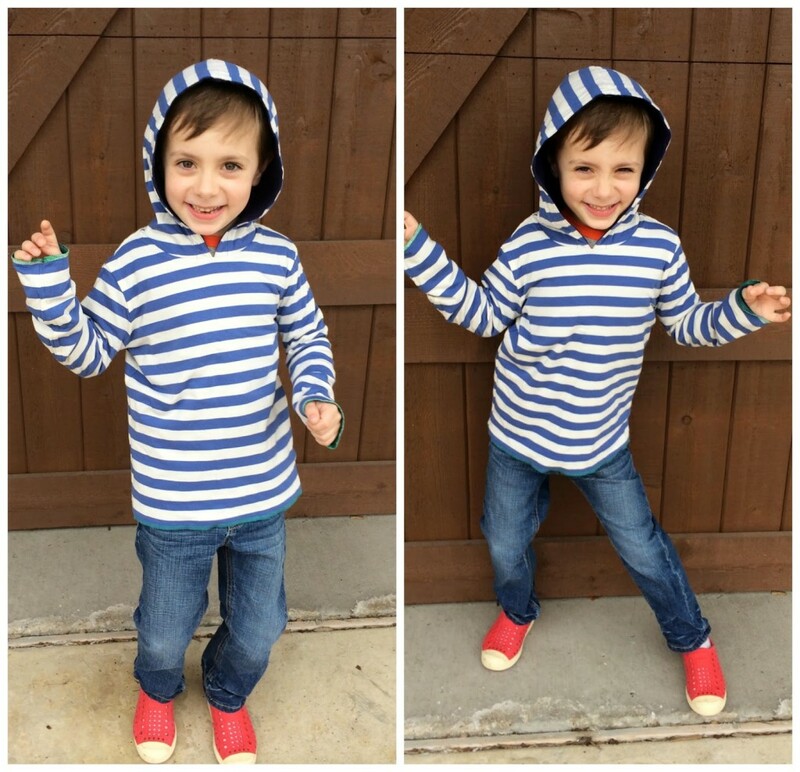 Okay….I am sooooo jealous that Carter can stay in the same shoe for a year!!! I've already bought 3 diff sizes for Hudson and 2 for Hunter!!! Seriously….would love to have them in a shoe for one full year…quote from Napoleon "LUCKY"!!! Carter is sooo adorable!! 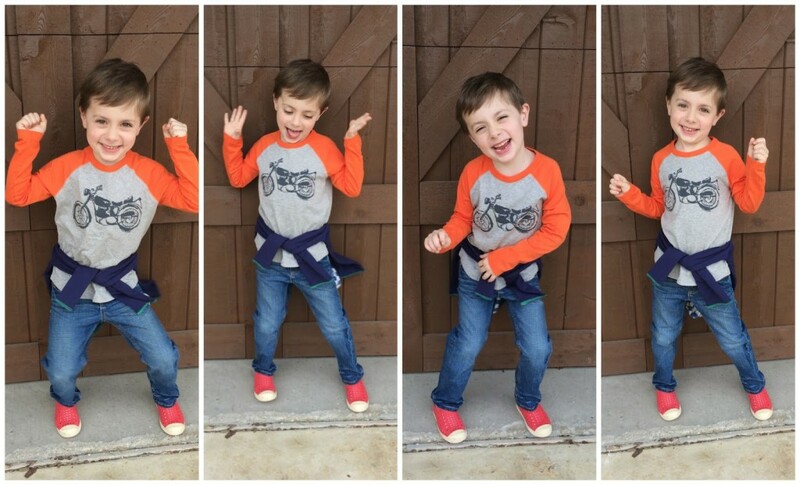 What a great model – you can totally see his personality through these photos. Love the clothes too! Makes me wish I had a boy :). 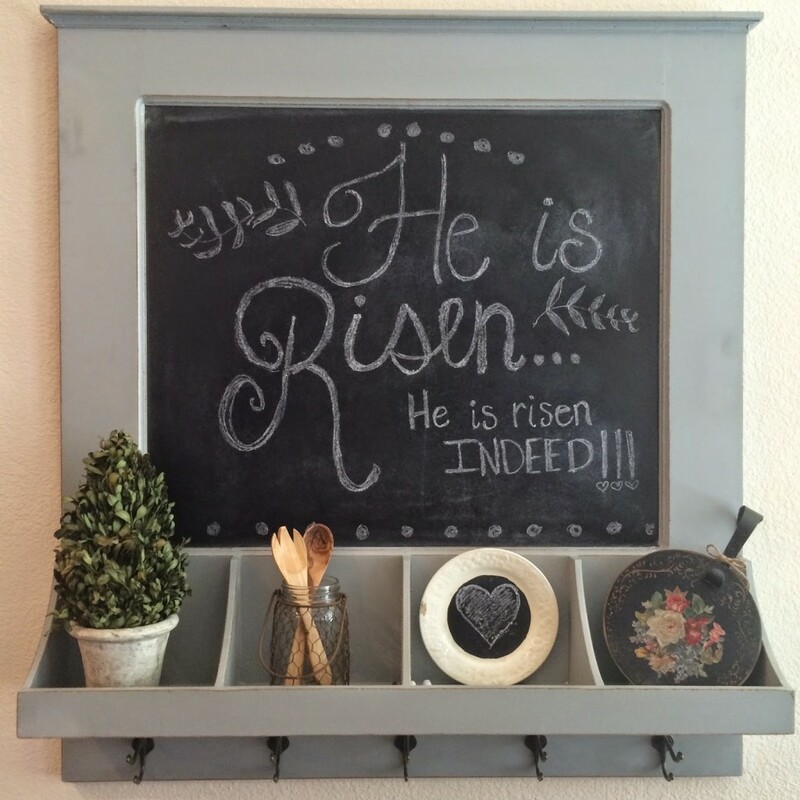 Sheaffer, please tell me where you got that chalkboard?? I love it!! 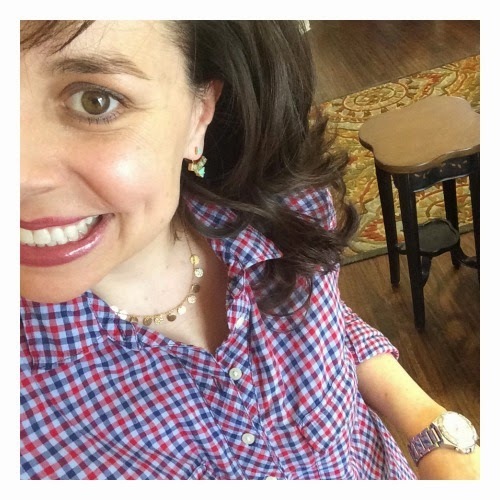 Your blog is one of my favorites…you are so fun! Would LOVE to know where to find your rug (pictured in favorites #7). Also, your home is beautiful…you should consider posting more pics…please! Captain Cozy is very precious! Is he always so photogenic?! 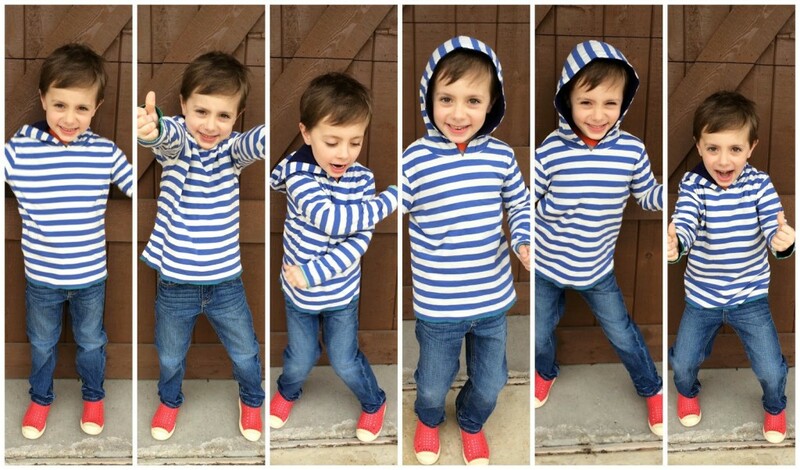 Carter is so cute, I think he could model professionally! About the eyeliner–it's a little pricy, do you think it's significantly better than Revlon or other drugstore brands? Thanks to you & Shay, I've also become obsessed with Natives! Last year we even tossed them in the dishwasher a few times to get them good and clean…they are our favorite and will probably be Valentine's Day presents for years to come! Hi! I noticed that some of the reviews on Nordy's indicated that you should go up a half size in the VC flats. Did you find that to be true for you? I got my regular size and they fit perfect! I love them! You will wear them to death! I ordered two blardigans and the bra. Cant wait for the big brown truck to pull in the driveway. Ready for the life changing events to happen!!! !